Careers — We impact the world when we help small businesses. Finagraph is building software and services to radically transform the lending experience for banks and businesses, and also enabling small businesses to eliminate cash flow as a reason for failing. Our purpose is to improve the world’s economic backbone by understanding the transactions driving commerce. Our team is passionate about creating powerful, yet simple tools that enable anyone to deeply understand the financial health of companies. At Finagraph you’ll have clear ownership and responsibilities. Your co-workers will drive you to be your best, and the same will be expected of you. We all bring a unique set of expertise to the table, and together we create a force to be reckoned with in the FinTech industry. We are seeking motivated and talented individuals to join our growing team. Submit your cover letter and resume to careers@finagraph.com, and be sure to specify which position you are applying for. Check out our available positions here. We listen first, seek to understand, confront the facts and do not let ego get in the way. We drive our work to completion and are accountable to the team. No excuses, get it done. We embrace that true genius is about taking the complex and making it simple. We know what we are doing, and we are each good at what we do. Are you a self-driven, motivated person who gets a thrill out of balancing to the penny? Do you have a passion for numbers and all things technology? Is thoroughness one of your top strengths? 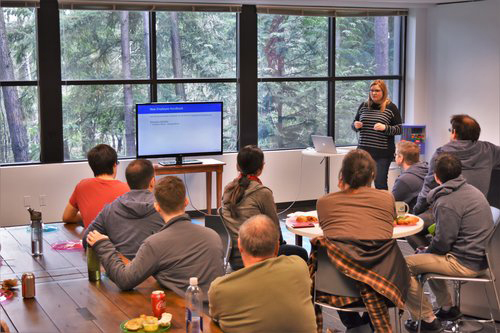 We have an exciting opportunity for a talented, life-long learner at one of Seattle’s hottest startups. Finagraph is an award-winning technology company that has been featured in the Seattle Times, GeekWire, 425 Magazine and the Puget Sound Business Journal. At Finagraph we are building software and services to radically transform the lending experience for banks and businesses to enable small businesses to eliminate cash flow as a reason for failing. If you like working in a fast-paced, rewarding and customer-first environment, that is changing the world, then Finagraph is the place for you. We are looking for an Accounting Manager that has subject matter expertise to handle the financial matters of the Company. In this role you will lead by doing and are also able to collaborate within Finagraph or beyond to deliver amazing results. You are an excellent communicator that has a deep understanding of full charge accounting principles. Manage day-to-day finance activities – e.g. – A/R, A/P, collections, expense reports, payroll, etc. Ensure all regulatory reporting requirements are met (monthly, quarterly, annual frequency) and maintains the accuracy of the financial data and reporting for both internal and external audiences. Assist with the preparation of the budget and financial forecasts. Keep abreast of current accounting standards and new developments in the areas of SAAS technology and financial reporting. If this is you and you are ready to make an impact on our journey of growth, we’d love to hear from you. Let’s imagine for a minute that you want a job that’s challenging in all the right ways – it drives you to show up with everything you’ve got. You wouldn’t mind spending your days changing the world with award-winning technology working side-by-side smart, passionate people. 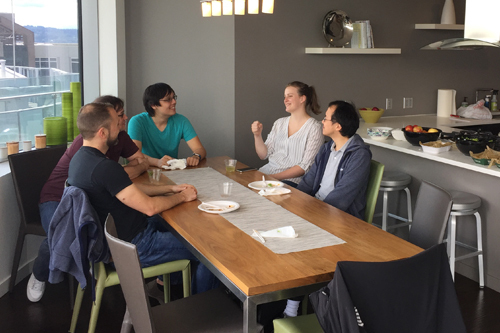 Let’s imagine you’d like to work at one of Seattle’s 10 hottest startups, a company that’s been featured in the Seattle Times, GeekWire, 425 Magazine and Puget Sound Business Journal. You can imagine that, right? We can too. We are looking for an experienced Full-Stack Developer with an exceptional ability to work anywhere in the technical stack and loves producing innovative software of exceptional quality. Strong motivation to drive customer impact by making product improvements. Up for it? We’re waiting for your application! We are looking for an experienced Full Stack Developer who loves producing beautifully fluid user experiences. Understanding customer needs and producing solutions for these needs in collaboration with Product Designers, Product Managers, Developers, and even stakeholders. Exploring ways to make the team more productive, exciting, and successful. Imagine working for one of Seattle’s hottest startups which has been featured in the Seattle Times, GeekWire, 425 Magazine and Puget Sound Business Journal and image working on one of coolest products that every small business and accounting firm desperately needs. This is Finagraph and we are building software and services to radically transform the lending experience for banks and businesses and to enable small businesses to eliminate cash flow as a reason for failing. If you like working in a fast-paced, rewarding and customer-first environment, that is changing the world, then Finagraph is the place. We are looking for a super creative, results-oriented, digitally-savvy, customer-first digital marketing specialist that can translate complex technology and business topics, trends and opportunities into high-quality marketing initiatives targeting a range of audiences. You will lead the digital marketing efforts with flawless execution. You will help drive content marketing, SEO/SEM, social media, analytics, email marketing and marketing automation and website management. You’ll work closely with the Chief Market Officer and subject matter experts across the company to deliver high-value, marquee assets to grow revenue with new and existing customers and rock the competition. Finagraph employees who demonstrate high performance and commitment will have the opportunity for career development and advancement within marketing or other areas of the company. This role reports directly to the Chief Marketing Officer and is based in Bellevue, WA. Drive the search marketing strategy including organic and paid search to optimize Finagraph’s products and services in all search results. Drive the event creative and execution for all customer-facing strategic events to attract customers to our products and services. This also includes internal events to rally the team and build high morale in the company. Assist in all major external comms including but not limited to industry-specific newsletters, email product nurture funnels, product announcements. Assist in ensuring Finagraph and all products and services have a world-class and highly competitive presence on the website. Strong messaging skills that map to customer needs and off-set the competition. Finagraph is looking for highly motivated college students to join our team. As an intern, you will work on a real project with major impact and have an opportunity to enjoy our fun startup-like environment. Working to support internal and external customer needs, you will collaborate across multiple disciplines, receive mentorship, and gain insight into our customer obsessed agile development process. At Finagraph, we will support your growth, improve your skills and help jumpstart your career. Develop and refine React web applications. Familiarity with code versioning tools such a Git. Experience or interest in working on user-interface related code and strong attention to details.